How'd You Come to Play Guitar? Discussion in 'V.C. 's Parlor' started by jimbojo, Jan 24, 2017. Ahhhhh yeahhhhh!!! I love it!! That's great. My gran had an old 78 of The Laughing Policeman, which I didn't know used the music and melody from the Laughing Song until I just heard your version and googled it. Thanks for that - I used to love that song when I was a small child (to tell the truth, it still makes me laugh now). My parents bought me a Kay steel string acoustic when I was 9, I think. It was quite a horrible guitar and with it came a book with the chords and melody to songs like Careless Love and Skip to My Lou - not really what you want to be learning as a 9-year-old English boy but still, I gave it my best. I tried learning the chords to Skip to My Lou first, which, if I remember correctly were basically A7 and D although I'm sure there were one or two more in there somewhere. After a couple of weeks, I realised I had been reading the chord charts upside down and once I corrected this easy-to-make error, I started to sound a little more musical. However, I didn't really make much progress as the strings really hurt my fingers and I was probably more interested in floating down local streams on truck inner tubes and other outdoor pursuits that were popular back then. I can't remember whether I'd asked my mum and dad to buy me that guitar or whether they just thought it would be a good idea but I do remember just before I started senior school (high school), we were all given the chance to try various instruments in the music room during an open evening, with a view to having private lessons for half an hour a week on the one you liked most once school started. I wanted to play the drums but my parents persuaded/forced me to take guitar lessons instead. Maybe they thought I'd enjoy it more or maybe they knew how loud an acoustic drum set in my bedroom was likely to be! Anyways, I took classical guitar lessons for maybe 3 years and progressed to about grade 4 in that. By the time I was 13 or 14 I had persuaded my parents to buy me an electric guitar and the first one I got was from a catalogue - a Les Paul copy made by a company called Satellite I think. I didn't like it and sent it back, getting some sort of Hondo guitar with two humbuckers afterwards. I had an unnaturally close relationship with that guitar, which I bought in Denmark Street, London for maybe £250 in the late 80s, but I stupidly sold it after buying some ridiculously expensive Charvel Jackson that I never bonded with. I had replaced the bridge humbucker with some sort of high-output DiMarzio before I sold it and I just loved the tones I got out of it with the old Marshall 50-watt combo that I'd bought off a friend (stupidly sold that too). Played it in a band for a while but lost interest when the drummer, who was my main link with the band, got more interested in rhythm and blues and we ended up with an ever-expanding horn section, so I left to get drunk for 20 years! So, to summarise, my parents made me take up the guitar but in retrospect, I'm glad they did. I used to watch my friend stuff all his drums in the back of his car after gigs and thank my lucky stars that I'd not persisted with that particular dream. 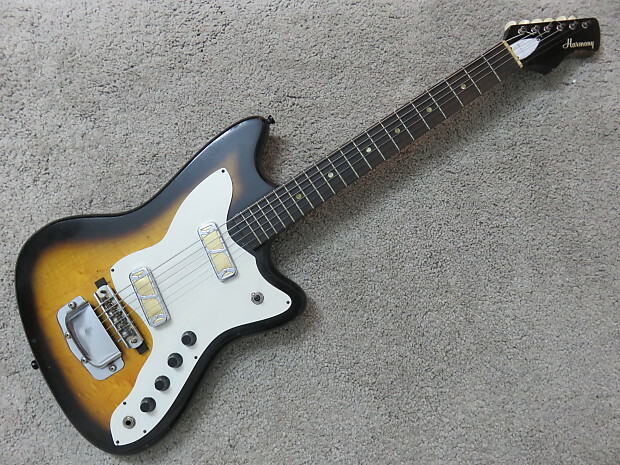 I search for old Fernandes FST-65s on eBay every now and then but the only one I have come across so far had been turned into a single pickup machine and was overpriced for the condition it was in. Maybe one day I will be reunited with my first love.... My alternate plan is to get hold of a Squier Standard Fat Strat and modify it to my tastes but I am not sure if that will be quite the same. As I've been typing this I've realised what a strange person I am. I regret parting with that guitar more than all of the women I have loved in my life! SoundDesign, Davis Sharp, Acidhouse and 6 others like this. See... Where else but here could someone write that sentence, and have people understand? Davis Sharp, ElRey67 and eaglesgift like this. My mom put me in piano lessons when I was 7 years old. I played piano until I was 17. Ten years and you'd think I'd be great, but I wasn't. Like any other kid, I wanted to play football and baseball and I had to literally be dragged to the piano, and even then I wouldn't really practice. My mom would say one day you'll thank me for this, and I would mutter "b***h" at a volume only I could hear. Though they said I had great potential, of those ten years, the first seven was just a revolving door of teachers who would put up with my bull****. Later on, my mom found Mrs. Dana. Mrs. Dana was an elderly woman who was that stereotype no-nonsense piano teacher. She actually had the ruler and would use it. She took no crap. Naturally I hated her even more than the others. On my 13th birthday, a friend of mine got me a Beatles songbook. I took it to Mrs. Dana and said I want to do THIS. To my great surprise, probably out of her frustration with me, she said we can do that, as long as we do one classical piece as well. I wanted to do the Beatles stuff so bad, I said OK, deal. For the first time, I was liking piano, and practicing on my own. Even more amazing, for the first time, I started to get good. I'm sure that had I given her some other rock music she'd have dismissed it with yesterday's garbage, but it was obvious she knew the Beatles were something different. She saw the brilliance, the creativity and clearly could appreciate it. And then explain it musically. And I realized right then that she was not just some crotchety old piano teacher. She was a musician. So now in high school, I was in drama production, but it didn't start until a couple hours after school. We'd go over to the drama building and hang out to kill the time, and they had a piano there. I'd sit down and start playing my Beatles stuff and gee whiz, people gathered around and started singing. A couple of my friends then brought their guitars and we started to have this little jam session. People gathered around, including GIRLS and I'm like wow, I think I get this whole music thing now! One day we go in the building and the piano is locked. Well, my friends had guitars, so the jam session continued, only without me. I was relegated to being just one of the crowd gathered around instead of in the "band." I very quickly saw the limitation of a piano - it isn't very portable. Next day I bought a little Yamaha classical guitar. I vowed to learn guitar as fast as possible. Being shut out would never happen again. Now, 35 years later, I'm still by no means a great player, but without exaggerating at all, after all those years of piano, all the theory and ear training that I absorbed despite my protestations, I went by those high school friends like they were stuck in molasses. And they knew it. But I was so hooked on guitar in general that meant little to me - I had found my passion. I was possessed. I still am. My mom passed in 1995, and I have but one regret - all those screaming matches at the piano where she told me one day I would thank her - I never got the chance. But of course she was right. Without her, I'd probably still not have picked up a guitar. An ultimate gift, for which I am eternally grateful. Davis Sharp, Kickstand, surfrodguitar and 4 others like this. Thanks for reminding me what's important. The next time I call my mum I'm going to do just that. radiotech, Toddcaster64, 5ofeight and 1 other person like this. These stories are getting betterer and betterer. I truly hope they continue. Maybe eventually including all of our experiences. On a related note, has anyone thought what their life would be if they hadn't gotten into guitars? The short version for me is I would have lost the biggest single influence that shaped my life: Working with Andrew Bonime. I would have stayed a shy kid drawing, painting and sculpting in my room with little social interaction. (I have no interest in sports or TV or getting drunk or any of the other stuff 'common to mankind.') I wouldn't have moved to Boston and found my life's work. I wouldn't have met Jan. In short I wouldn't have had this life that I have so enjoyed at all. All that from six stretched wires. Davis Sharp, ElRey67, jimbojo and 3 others like this. Just a note on the Laughing song, the guy on that recording was a blind guy that use to come stay with my grandparents for weeks. His name was Milton Battles. The unusual thing about his blindness was he was born without any eyeballs. He had eye socket and eyelids, but no eyeballs. He was a jolly old soul and love to sing, pick guitar and play fiddle. He was slightly a better musician than grandpa. Kickstand, surfrodguitar and radiotech like this. I can't even begin to think about my life w/o guitar. I'd be a drummer maybe? So, from 9 years old to my early teens, I would play with my dad occasionally, mostly Mexican folk music using chords like D, A7, E and G7, C, F in either 3/4 or 4/4 time. Pretty much the extent of my theory at the time. As I hit 7th grade (1976 - 77) I began to listen to a lot of music, mostly my buddies brothers records. We listened to the Beatles, BTO, The Eagles, The Beach Boys, etc. Sometime around "77 or '78 my uncle from California (who played in a lot of bands at the time) gave my dad an electric guitar, it was a Bartell of California St George 12. My dad showed it to a friend of his who also had a band to see if he wanted to buy it but he wasn't interested, so once again I convinced my dad to let me have it. My dad was working as a barber at the time and he traded haircuts to get me my first amp. I didn't really know much about electric guitars or amps at that time, this was obviously before the age of the internet or even MTV. It seemed like a pretty plain jane amp kind of a brown color, no logo on the front, although it did say Fender Music Co. on the back panel. Yeah, he traded haircuts for a Brownface Fender Deluxe! Well that was my first rig, had only six strings on the Bartell and when one of the kids in our group got a drum set for his birthday, I convinced my buddy Eric (the kid I used to listen to his brothers records) to talk his parent into buying him a bass, they did and his dad built him a small tube amp that he ran through a home stereo speaker. We all took some lessons, bought a mic (taped it to a music stand and plugged it into my amp alongside the guitar. This was my first garage band, I don't even remember if we ever picked a name but we did have girls stop by once in a while. That is when I became hooked on guitar. Eric and I still play together when we get the chance. Acidhouse, Toddcaster64, radiotech and 3 others like this. I don't want to presume anything, but I would guess that your enjoyment of music was the unspoken "Thank you"that your mother was looking for. I feel that way with my children. Toddcaster64, duceditor, radiotech and 1 other person like this. No, but I have thought what my life would be like if I hadn't gotten into beer. 5ofeight and radiotech like this. 5ofeight, radiotech, jimbojo and 2 others like this. Living on the streets...it was my only option. radiotech, surfrodguitar, Acidhouse and 2 others like this. My uncle was a cowboy chorder with a beautiful voice and that might be where it started. My first guitar was given to me by a cousin and had the distinction of having heavily pitted frets and action that was roughly 3/4 of an inch off the fretboard. My parents bought me a new cheap acoustic that might have actually been worse. My first teacher is notable for informing me that I was not going to play guitar left handed. She turned my guitar around pronto and said I would thank her later. Later I got into group lessons with two other boys that both sucked and could care less about guitar. Most of my 1 hour lesson was spent watching them be rewarded for not practicing or learning songs/notes while I tore through the same assignment in minutes. Eventually I met two really cool guys in high school who played guitar and would become my best friends. Both were great players and song writers and I eventually gravitated to bass, which I really loved. We did the gigging thing for awhile and eventually drifted into careers and whatnot. Now we write together via home studio and pass files back and forth due to the power of the Internet. ElRey67, duceditor, eaglesgift and 4 others like this. By the way, great thread. I'm really enjoying these stories. ElRey67, surfrodguitar and jimbojo like this. I am gonna do a short version . The wind pushed me that way and i got stuck in stupid! ElRey67 and radiotech like this.